So much has been written, blogged, and vlogged about how to dine out gluten-free, and yet it all comes down to very simple steps: understand the diet, research your restaurants, ask questions, be prepared to not order your first choice, and always bring a back-up snack. To dine out safely, you must know what grains to avoid, the hidden sources of gluten and how to avoid cross-contact with gluten. This means selecting a dining establishment that either serves naturally gluten-free items, such as meat, chicken or fish that is not breaded nor served with a floured sauce, has a gluten-free menu, or serves items that can easily be made without gluten like a hamburger without the bun or salad without croutons. Look for the menu online and call the restaurant, during its non-busy hours, to discuss your menu choices. What items can be made gluten-free? Do you know what gluten is? If yes, what is it? 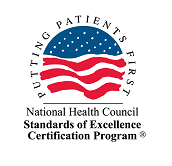 Has your restaurant or staff completed a gluten-free training program? 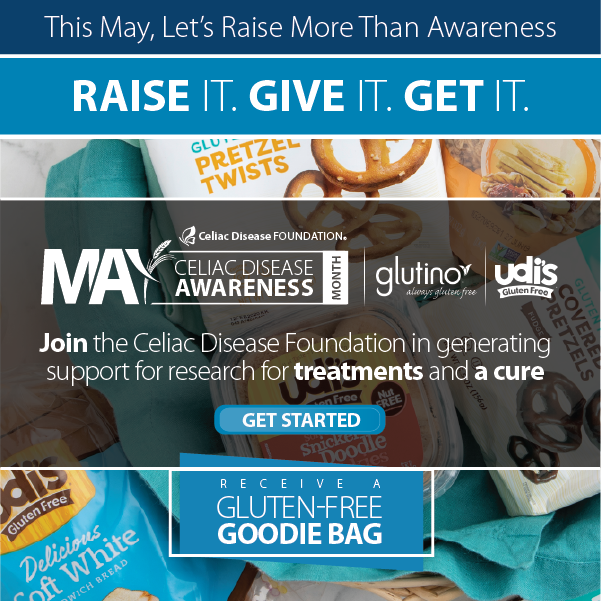 Let them know you have celiac disease or a gluten sensitivity and ask if they understand what that means. If they don’t, tell them that you cannot eat anything that has flour, bread crumbs or soy sauce or you will become very ill. If your server does not understand, ask to speak to the restaurant manager or the chef. It is best to choose simple dishes without a coating or sauce, or ones that can be made without a sauce. Always ask your wait staff to let the chef know that you cannot eat gluten because you will become ill. Don’t assume that anything is gluten-free. Egg omelets may contain pancake batter to make them fluffier. Baked potatoes may be coated with flour to make the skins crispier. Green tea may have barley in it. Are there croutons, wontons or crispy noodles on the salad? Does the salad dressing contain wheat or flour? Does the soup contain flour or barley? Has the food been marinated in any sauce? Does the sauce have flour, soy or teriyaki sauce? Has the food been dusted with flour before being sauteed or fried? Is the oil used for the French fries also used to make the other breaded products? Are the French fries coated with flour? Are artificial bacon bits or other meat substitutes used on potato skins and salads? Are your mashed potatoes from a mix, or from real potatoes? Do you use imitation crabmeat or seafood? Does bread come with my dish? Is my dish garnished with fried onions? Will the ice cream come with a cookie? Do you clean or is there a separate prep space for gluten-free food? Do you use clean or separate coookware and utensils for gluten-free food? Do you clean the grill before preparing gluten-free food ? Is there a dedicated fryer or do you change the oil for gluten-free food? Sometimes, no matter how prepared and informed you are, there is not a satisfying gluten-free choice. There are two strategies to address this. The first is to “pre-eat” prior to dining out so that your hunger is under control and you are less tempted to make unsafe menu choices. The second is to bring gluten-free foods with you such as bread, crackers or even pasta, which you can ask the chef to cook in a clean pot. For your personal tip for addressing this, please share with us on Facebook or Twitter. 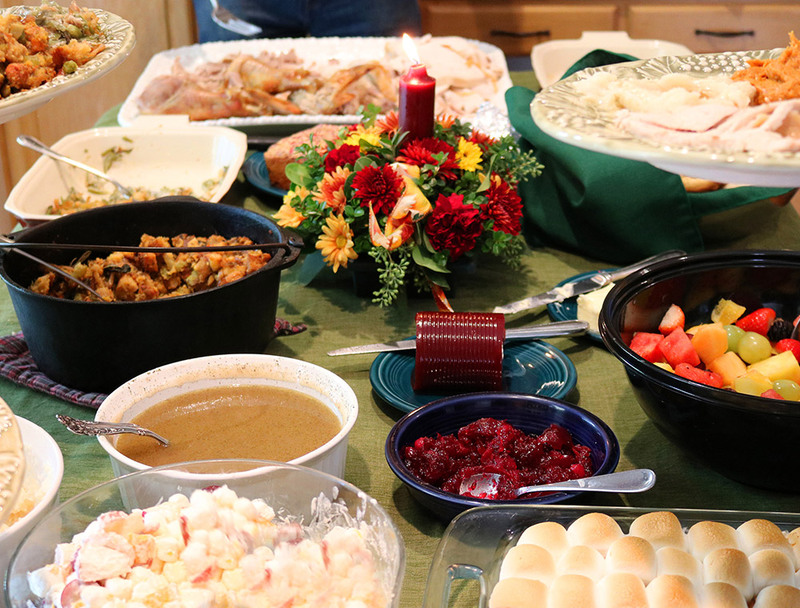 Holidays and other special occasions can cause stress for those on a gluten-free diet. Here are a few easy tips to help you enjoy a worry-free holiday season or a night out with friends. Be creative: Don’t let celiac disease or a gluten sensitivity be a hindrance; there are many alternative recipes online for your favorite holiday treats, including cookies, flour-less cakes, breads, stuffings, and pies. Look for creative substitutes for your holiday baking and don’t be afraid to experiment. There are also pre-made products and mixes readily available. Check your local health food and grocery stores to see what they carry. 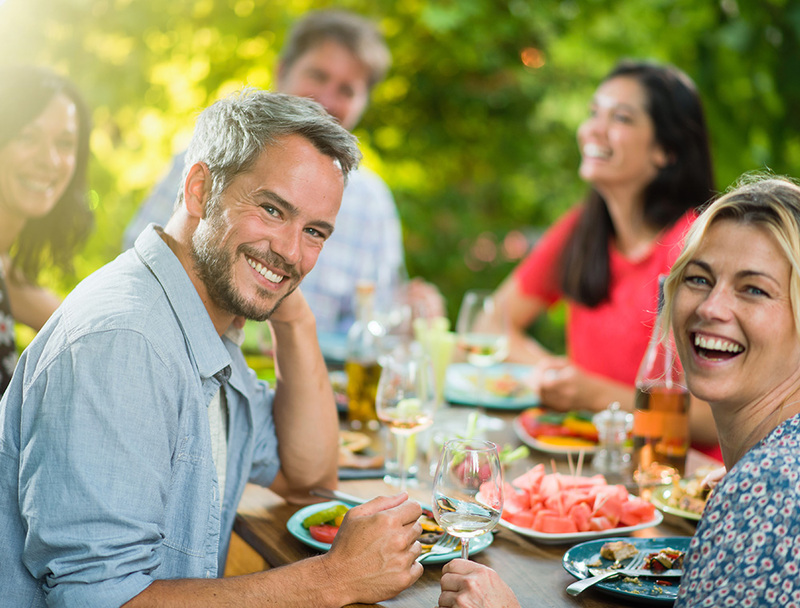 Come prepared: If you are going to someone else’s house for a get-together and are unsure of the menu, bring along a dish or two that you are sure you can eat. That way you aren’t left hungry. If you aren’t sure if there will be something you can drink, bring along a bottle or two. Do your research: If you are going out to eat, for any occasion, call the restaurant ahead of time or look online to see if they have gluten-free options. Don’t assume there will be, every restaurant is different. If there is not anything you can eat, consider suggesting an alternative place where you know there are options on the menu. Additionally, if you are attending a catered event, call ahead of time to see if you can request a gluten-free meal or gluten-free options. Be assertive: Depending on your sensitivity, you may want to let your server or host know how severe your reaction can be. Letting them know will help alleviate some of your stress. Don’t be afraid to send things back or to ask questions about cross-contact to make sure you are getting what you need. Be courteous: Do not expect a waiter or party host to be familiar with what celiac disease or gluten intolerance is. Explain politely what you can and cannot eat. If a waiter brings you a dish with gluten by mistake, be courteous and explain why you cannot eat it. They will likely be very understanding and fix your entree. Be alert: Be on the lookout for hidden sources of gluten such as gravies, sauces, spices, and drinks. And remember, When in doubt, go without! What Can I Cook? Discover easy, delicious gluten-free recipes.